Antigones II was a powerful ruler who solidified the position of the Antigonid dynasty in Macedon after a long period defined by anarchy and chaos. His father was Demetrius Poliorcetes, andhis mother was Phila, the daughter of Antipater. Following the death of his father in 285 BC, Antigones warred with Lysimachus, Pyrrhus and against several internal rebellions, but managed to remain King of Macedonia. 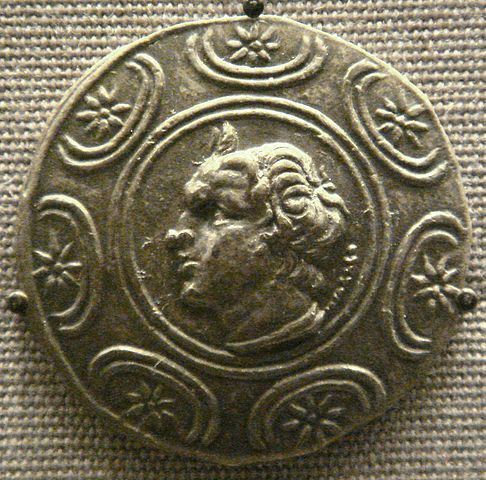 Except for a short period when he defeated a Gallic invasion, Antigonus was not a heroic or successful military leader. His skills were mainly political. He preferred to rely on cunning, patience, and persistence to achieve his goals. While more brilliant leaders, like his father Demetrius and his neighbour Pyrrhus, aimed higher and fell lower, Antigonus achieved a measure of security. In 239 BC, Antigonus died at the age of 80 and left his kingdom to his son Demetrius II, who was to reign for the next 10 years.